SPARTANBURG, S.C. -- A baby officials say was poisoned with salt has died, reports CBS affiliate WSPA. The child had been on life support. Investigators charged 23-year-old Kimberly Nicole Martines with felony child abuse after allegedly feeding 17-month-old Peyton a teaspoon of salt. According to the incident report obtained by the station, on July 31, Martines said that she was woken up by the girl screaming. 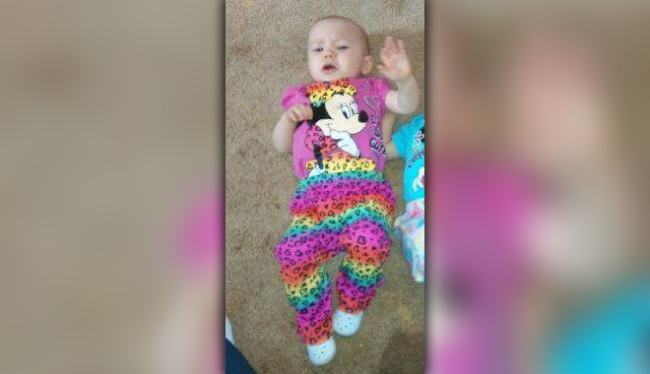 The 17-month-old was then taken to Spartanburg Medical Center, where she died Wednesday afternoon. Spartanburg County Sheriff's Office spokesman Lt. Kevin Bobo said in a news release that doctors told them the salt caused the infant to have seizures and a high fever. Police said they didn't know why Martines gave her daughter salt. Arrest warrants alleged she went to the doctor in November and ignored the pediatrician's referral to another doctor and to an agency that helps babies who are slow to develop because the infant was not gaining weight. Deputies say the baby's twin sister and second sibling are in protective custody. Martines faces up to 20 years in prison if convicted. It wasn't known if she had a lawyer.